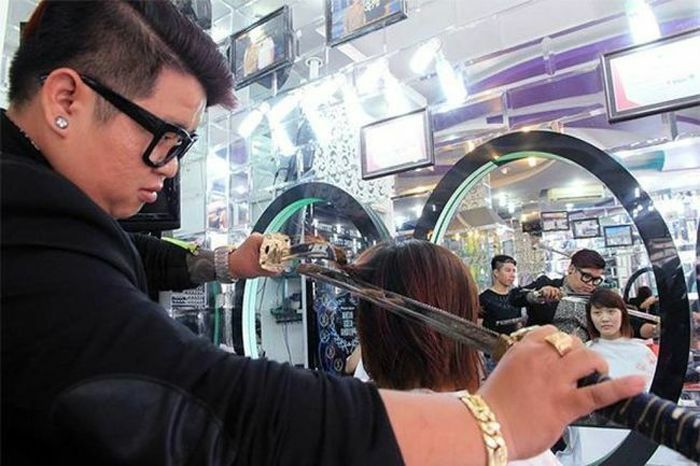 Vietnamese Nguyen Hoang Hung has a very unique tool he uses as a hairdresser. He has all the normal tools you would expect a hairdresser to have but he also uses a samurai sword. It's safe to assume that he's the only hairdresser on the planet that's doing this.